2015 Letter From Global Board of Directors! A lot happened this past year. 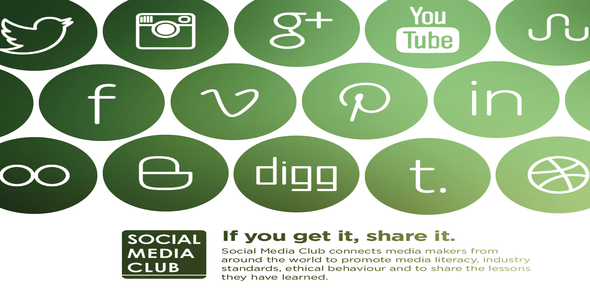 The biggest change at Social Media Club was when our board of directors took over operations in 2014. This was the first step in our transition from the small business owner model that launched SMC back in 2006 to the large association model of elected officials and executive staff that will keep us running worldwide for many years to come. Moving to a board of directors with executive staff allowed us to look at the big picture outside of the US. We made sure to include board members that represented our international chapters. One of the big changes we’re going to make in 2015 is to update our website. This update will help us provide more member and chapter benefits. For members, we will feature extensive social media education opportunities, extended Member profiles, partner promotions, special deals and much more. For chapters, the renovations will feature multi-site integration, so we can include hundreds of chapter websites on our global site. We will provide new chapters (and current chapters that are interested) with a site template to help them save on the costs and the time of hosting and designing a website. We have just signed up an awesome website development company to build our new site and are all very excited about sharing our new site when finished! Join our Google Hangouts! We’re looking to showcase clubs to share some of their membership insight. If you’d like to co-host a show, please send us an email: [email protected]. The monthly events feature short presentations and panels from our top members and chapter leaders on SMC chapter management and personal professional development topics. There will be time at the end to ask your questions to SMC committee and board members. We are excited to be expanding on our primary mission of sharing best practices of digital media literacy, promote standard technologies, encourage ethical behavior and share best practices to holistically evolve with the ever changing world of social media. We will be bringing together journalists, publishers, communications professionals, citizen journalists, teachers, students, toolmakers, and other like minded collaborators at an entirely new level. Join us as we communicate our thoughts and ideas across the world and let’s shape the future together! “Social Media Club’s continuous strategic partnership with the Social Media leaders around the world further reiterates the importance of their roles in the communities. We have partnered with the hundreds of Social Media leaders & launched SMC Chapters globally. We are eager to support and encourage all initiatives aimed at increasing interaction through social networks globally. This will surely reflect positively on the development of the social media communities.